B-Tech /BE Degree in Civil with minimum 50% aggregate mark.2 years experience in the relevant field preferred. aggregate marks.2 years experience in the relevant field preferred. Selection Procedure: For the position of Technical Officer in JMG/S I the candidates shall administer online written test and successful candidates will thereafter, are called for GD and /or interview. Service Bond: The selected candidates shall execute a Service Bond at the time of joining the Bank undertaking to serve the Bank - Chief Manager (IT) - Min Service period 3 years – Bond amount Rs 6 Lacs. 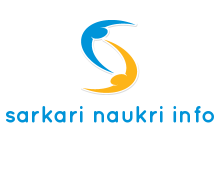 , Senior Manager (IT) – Min service period 3 Yrs – Bond amount Rs. 3 Lacs. In respect of other post – Min service period - 2 Yrs Bond amount Rs. 2 Lacs.